Tip2Toe Health provides reflexology for women in Cheltenham. A complementary therapy that works on the feet. Working on these reflexes can identify any imbalances and unblock energy channels within the body and encourage the body's natural healing process. 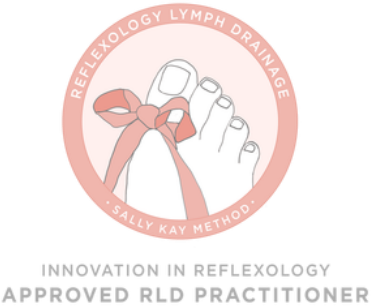 A technique pioneered by Sally Kay, it was designed to help with lymphodoema arising from breast cancer treatment, however it is thought to be useful for many other conditions. Hot stone therapy has been used for over 2000 years as a form of healing and maintaining balance in the body. A seated therapy involving direct touch through clothing - preferably a cotton T- shirt. It encourages healing and balance and the release of stagnant energy in your whole body. What a Reflexology Treatment Consists Of? A detailed consultation will be taken before the first treatment to understand your health and lifestyle and the treatment tailored to your needs. Hot towels may be used to relax the feet before the treatment then a wax applied to the feet before a thumb walking technique is used over the feet. Many clients experience improved energy levels and general well being. Reflexology can be a fantastic one off treatment, however if you have any health concerns you wish to try to address it is advisable to have a regular course of treatments. I have attended a course at the Christie Hospital in Manchester - Adapting Reflexology for Cancer and Supportive Care and I currently volunteer regularly at the Focus Unit at Cheltenham General hospital offering Reflexology and Indian Head Massage to cancer patients. I also have qualifications in Hot Stone Reflexology and Reflexology Lymphatic Drainage. I treat female clients only however am happy to treat male clients by referral.